This week for storytime our theme was “friendship”. It takes time to develop the skills needed to manage interpersonal relationships. Even as adults, we often struggle with managing our behavior “in the moment”, especially when we habitually hone our social skills through trial and error. However, we can help children learn to navigate situations before they occur by providing vicarious experiences (like reading books) that allow a safe space for the exploration of potential feelings, actions, and outcomes. Each of these titles has something special to offer. Bob and Otto is an adorable book that highlights the benefits of being an individual and celebrating the successes of your friends. 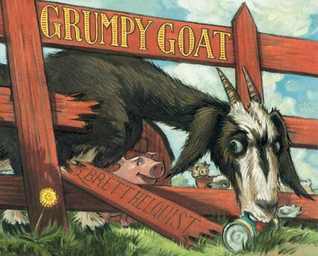 Grumpy Goat touches on the classic idioms to “never judge a book by its cover” and to try “turning over a new leaf”, or in Goat’s case, a dandelion. 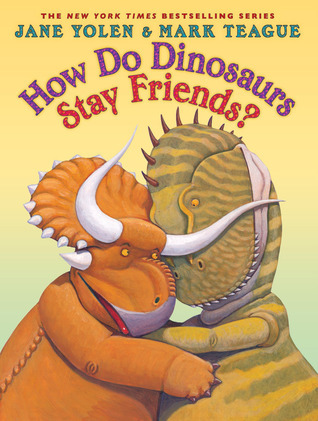 How Do Dinosaurs Stay Friends follows its predecessors of the series in providing the dos and don’ts in a succinct and appealing dino package. I often rely on Yolen’s series to help with all kinds of storytime whoas. From avoiding flu germs (How Do Dinosaurs Stay Well?) to teaching safety (How Do Dinosaurs Stay Safe? ), she really does a banner job helping with life lessons. Friendship can take many forms, be it an unlikely combination of companions, or friends who exists purely in our hearts and minds. Each relationship has a role to play. Hello, Mr. Dodo is full of hidden gems that address considering the feelings of others and doing what is right, even if it means letting go. 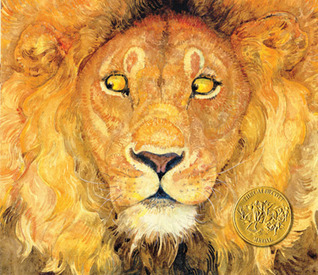 The Lion & the Mouse is a stunning wordless picture book that I have the kids “read” to me. I ask them to tell me what they see, how things might feel, etc. It gives them a chance to explore their thoughts and use their voices. Bust a Move: This week in preschool I went with just reading Grumpy Goat and then going right into parachute play to focus on working together as a group, since collaborative play can be a great way for children to practice seeing the “big picture”. I chose Slippery Fish, which I learned about from the super fantastic duo, Jbrary, and adapted it to a game with the parachute where the goal is to keep the balls in until the end when the whale burps. This also works for the grade schoolers too! That’s Craftastic: For our craft we made friendship bracelets. I turned the kids loose on pipe cleaners and pony beads. So much crafting, so much bling. It’s also a super sneaky way to strengthen fine motor skills (which bigger kids need too). As always, please share any feedback, tips, tricks, and comments below.